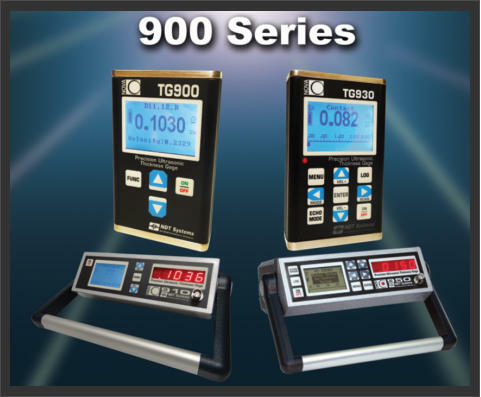 The Nova TG 900 Series Precision Ultrasonic Thickness Gauges are now available in both hand-held and bench top versions, from 4 key simple to full featured. 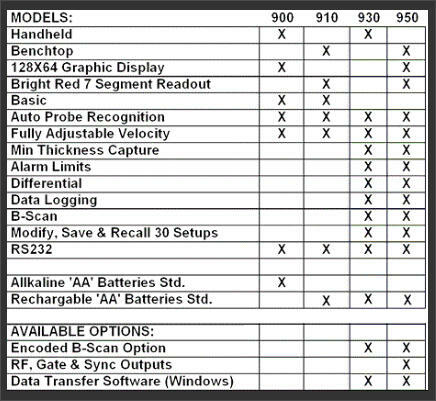 Some standard features include High Speed Pulse Rep Rate, 0.0001 Resolution to a minimum of 0.0035 (probe & application dependent) Auto-set, B-Scan and 50,000 Point Logger as well as storage of 30 custom user Set-ups on 930 Hand-held & 950 Bench top, Delta Mode, High & Low Alarms, Thickness/velocity readout, High Speed LED Numeric Display (readable up to 10 feet away) and LCD Menu display on Bench Top, High Contrast LCD Display on Hand Held, English/Metric units, RS-232C on Hand Held as well as RS232 and USB digital I/O port on Bench Top, NiMH batteries, scope outputs, AC power module/battery charger. 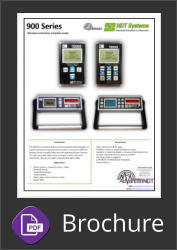 • High-Resolution (0.0001in, 0.0025mm) • Simple to use • Auto probe recognition The Nova 900 Series represents the latest release and a dramatic advancement in portable precision ultrasonic thickness gauges. 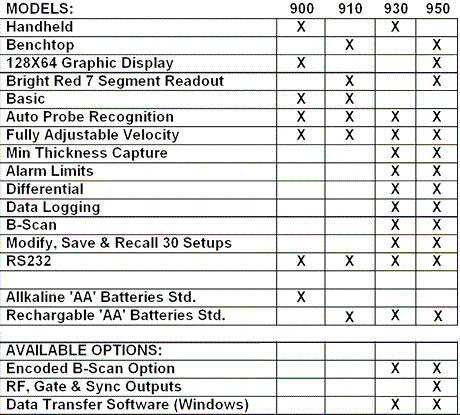 A proprietary monolithic integrated circuit chip and a highly advanced micro-computerized design have permitted the achievement of performance levels considered only conceptual, The outgrowth of this technology has been the development of three portable and two Bench top models in the Nova 900 Series. 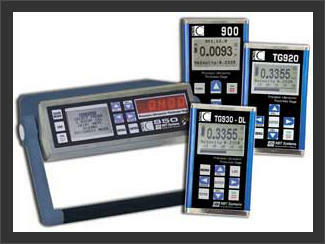 These ruggedized, highly stable models have been carefully designed to offer a choice of features to best suit the application level, gauging environment and user preference.